There are few holiday events more anticipated each year than Christmas at Longwood Gardens in Kennett Square, Pennsylvania. 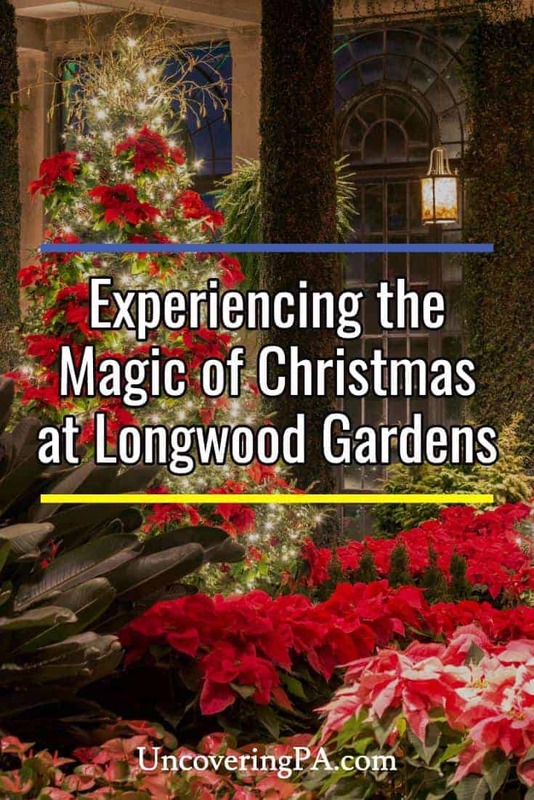 Each holiday season, hundreds of thousands of visitors come to Longwood Gardens to stroll through their manicured gardens and see over 500,000 lights, dozens of Christmas trees, and the countless holiday displays. 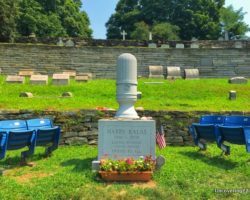 In fact, the event here is so well known that I’ve included it on my list of the most Christmasy things to do in Pennsylvania for several years. However, despite having visited Longwood Gardens on two previous occasions, I’d yet to have a chance to visit during the holiday season until early December 2017. 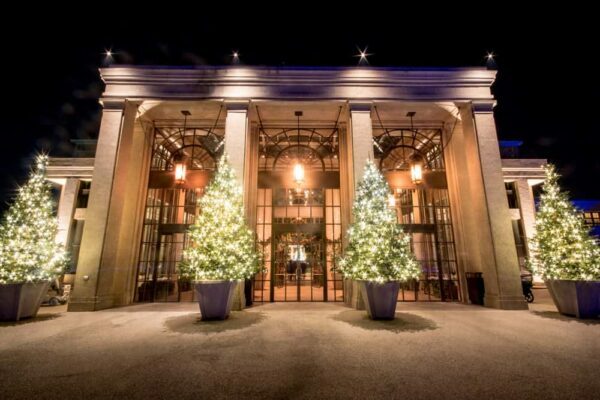 Longwood Gardens is beautiful during the holiday season. Arriving before dark allowed me to explore the gardens both during the daylight and once the Christmas lights came on after dark. While the area is still quite beautiful during the day, the lack of colorful flowers throughout much of the garden is in stark contrast from my previous summer visits to Longwood Gardens. It’s also worth noting, though completely understandable with the cold temperatures, that nearly all of the outdoor fountains have been turned off. Make sure to arrive at Longwood Gardens before dark. Nevertheless, while it might not have the colorful punch that can be seen during the summer, the grounds of Longwood Garden are still quite beautiful and peaceful before dark this time of year. 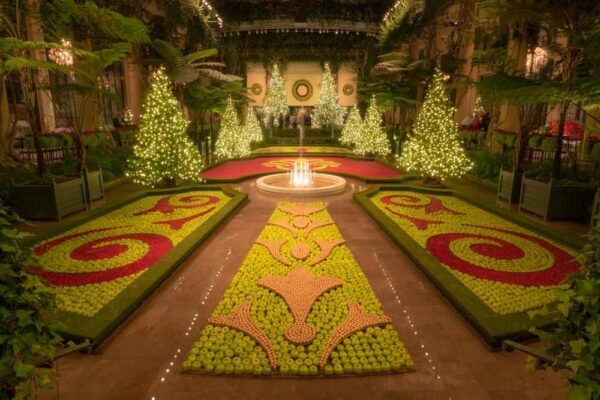 However, there’s not question that the gardens are at their peak after dark during the holiday season. 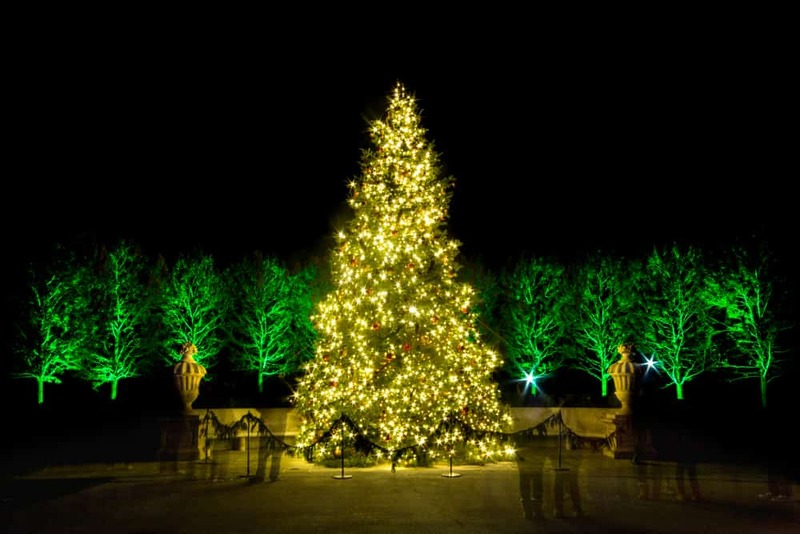 Christmas light displays at Longwood Gardens can be seen throughout the garden. Without a doubt, though, the highlight is the display inside the Conservatory. The entrance to the Conservatory at Longwood Gardens. This heated greenhouse is not only beautiful on the inside, but is a nice respite from the cold temperatures outside. Throughout the conservatory’s 19 gardens, visitors can explore the beauty of the garden’s French-inspired holiday display. Wandering amongst the many beautiful Christmas trees and past hundreds of poinsettia plants offered my family and I the chance to see the beauty of the season. One of my personal favorites was the display inside the Exhibition Hall. Here, cranberries, apples, and walnuts create an incredibly beautiful display that shouldn’t be missed. In fact, this is probably my favorite display that I’ve seen in my three visits to Longwood Gardens. The Exhibition Hall features an incredibly imaginative display. Another popular attraction in the Conservatory is the walk through the back gardens. A path winds its way through the smaller gardens at the rear of the conservatory. Many of these gardens are decorated for the holiday season, in addition to having a unique look and feel from each other. The line through these gardens can get a bit slow moving during peak times, but it’s worth taking the time to see. 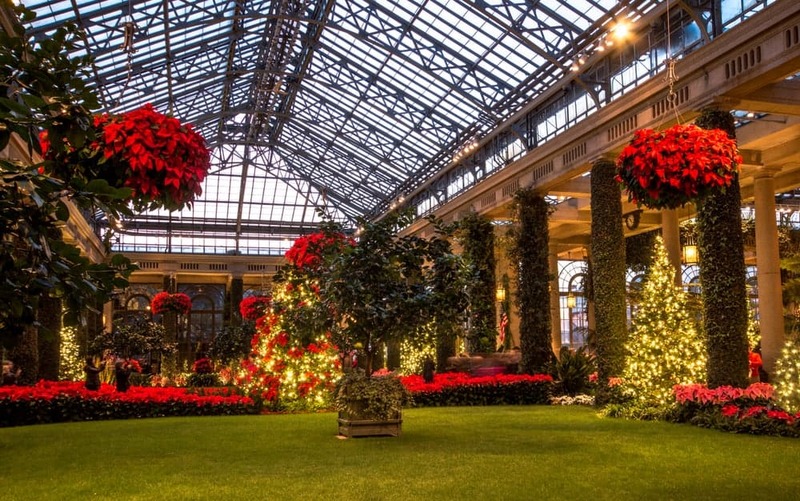 While many of the highlights of Longwood Garden’s Christmas Displays might be in the Conservatory, that doesn’t mean that there aren’t beautiful sights to be seen elsewhere. There’s beauty to be found throughout Longwood Gardens. After dark, hundreds of thousands of lights shine brightly throughout the garden. Walking down towards the lakes and Italian Garden is a colorful experience highlighted by the Christmas trees floating on the Large Lake. Lights are also scattered throughout the garden’s treehouses and the Meadow Garden. Floating Christmas trees at Longwood Gardens. There’s no denying that the lights at Longwood Gardens are incredibly festive, but if I’m being honest, it would have been nice to have heard Christmas music throughout the garden. 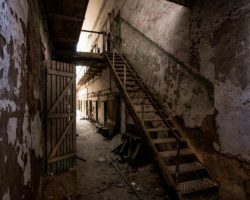 However, for those wanting to hear music, it can be found in several different places. Inside the Conservatory, there are daily Christmas music concerts at the organ. 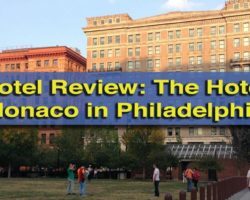 While it might not be as large as Philadelphia’s Wanamaker Organ, it’s one of the largest in the region and has quite a beautiful and festive sound. 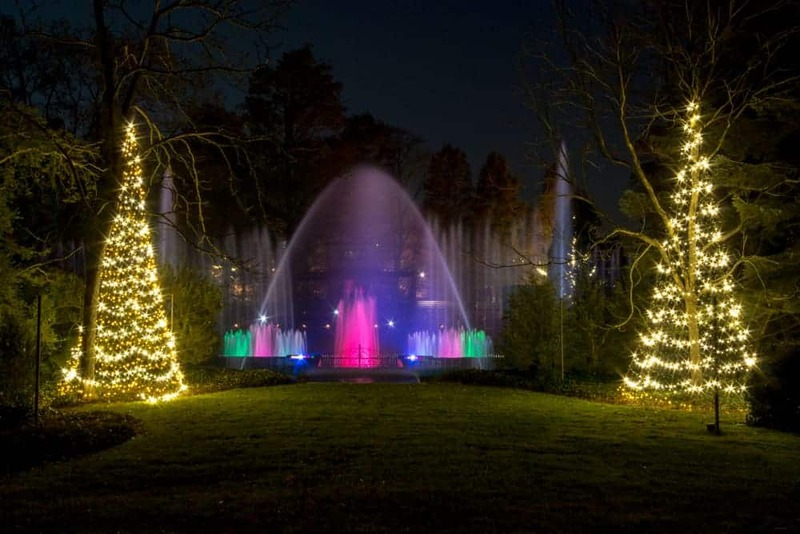 The fountain show during Christmas at Longwood Gardens. There is also one fountain show offered in the Open Air Theater near the entrance to Longwood Gardens. During the 5-minute show that is offered throughout the day, 750 fountains dance to traditional holiday music. Depending on the day and time of your visit, there are also other live musical performances in the park including local musical groups and even roving carolers. 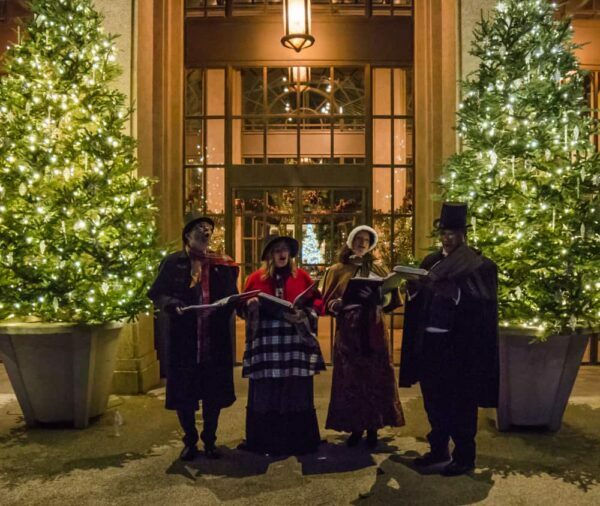 Carolers are one of the musical performances offered during the holiday season. 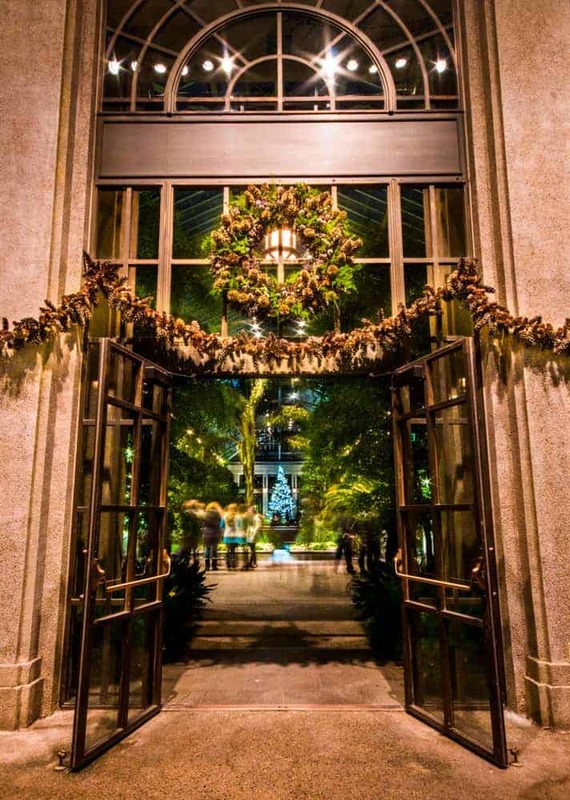 Without a doubt, Christmas at Longwood Gardens is a magical holiday experience that should be on your list of places to visit in Pennsylvania this holiday season. 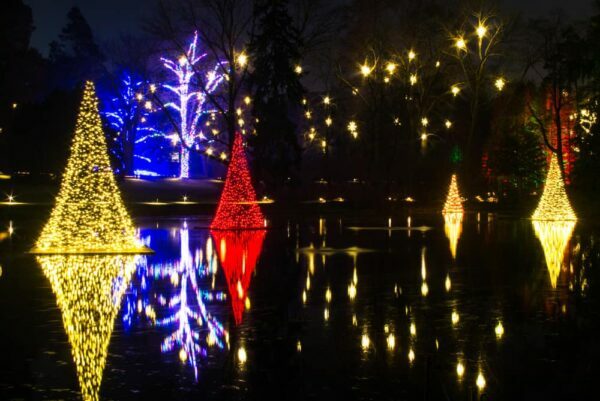 The chance to stroll the grounds after dark and see these magical lights is one of the best Christmas things to do in Pennsylvania. 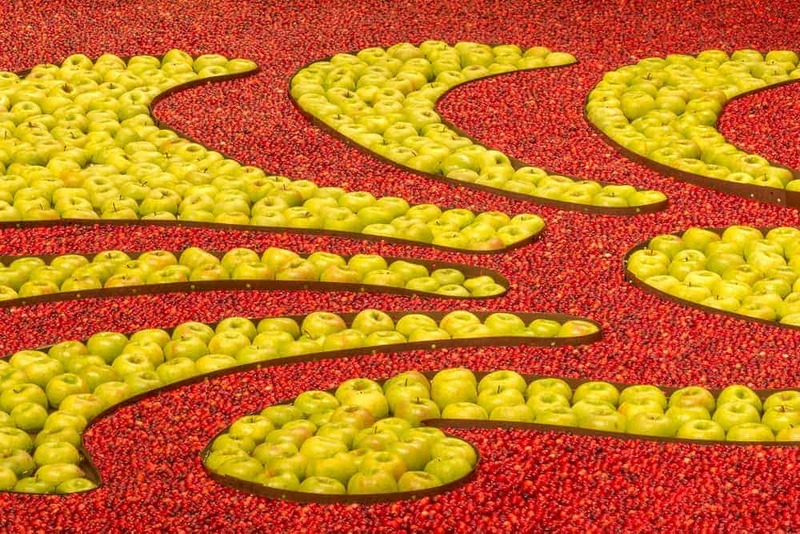 A close up look at the apples and cranberries display in the Conservatory. Christmas at Longwood Gardens runs from Thanksgiving through early January. 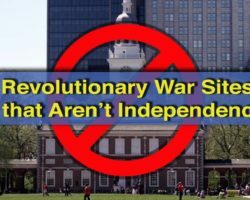 In 2018, it is open from November 22 through January 6, 2019. Timed tickets are required for entry, and it is common for specific times to sell out, especially on weekends. Purchasing your tickets before arriving is recommended. 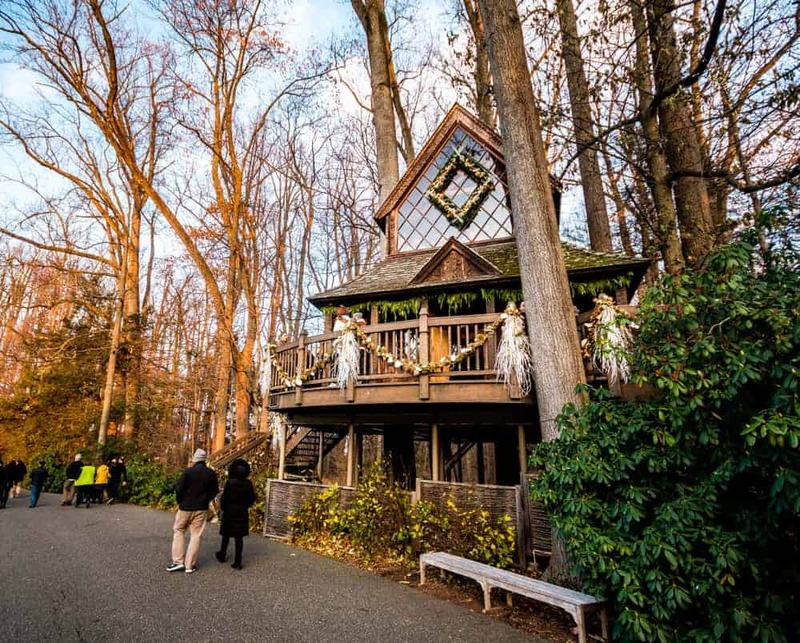 If possible, visit on a weekday prior to Christmas as weekends and the week after Christmas are the busiest times during Christmas at Longwood Gardens. Ticket prices are also about 20% higher on peak days. Looking into the Conservatory at Longwood Gardens. For information about the gardens throughout the year, read our article about exploring Longwood Gardens in any season. 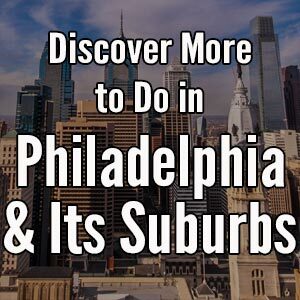 For more things to do in southeastern PA during the holiday season, check out our article about the best things to do in Philly during Christmas. 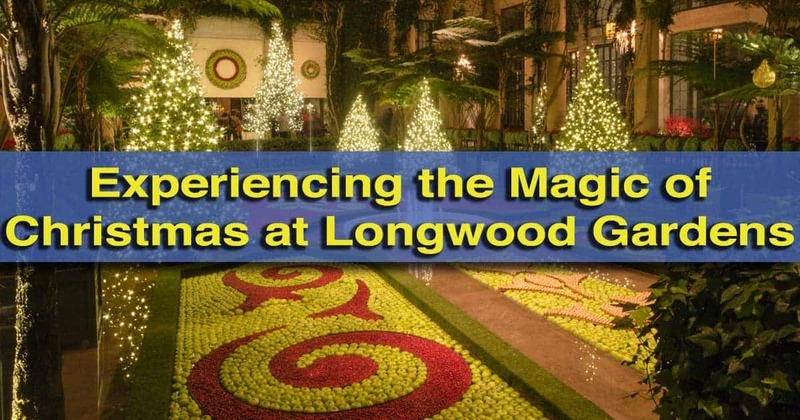 Note: My visit to Christmas at Longwood Gardens was hosted by the site. However, the opinions expressed are my own.